Superb Outstanding Gorgeous Villa. 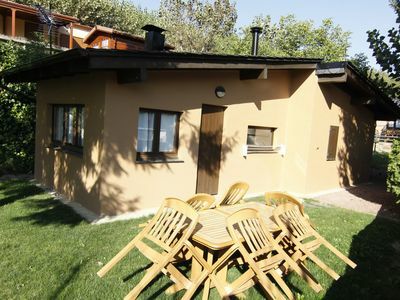 4 bedrooms all double one of the bedrooms has 2 x double beds accommodating 10 people. 3 Shower rooms one with twin person bath, 4 toilets. 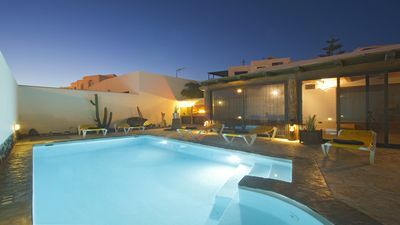 Lomas de la Juliana is a stunning resort with Fantastic Villas. 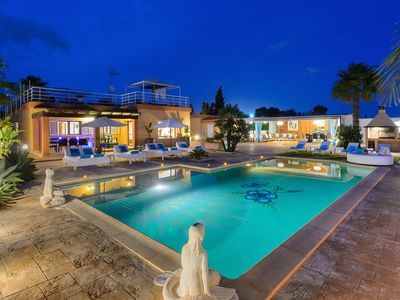 This Exceptional, West Facing Villa is located in a prestigious area, situated on a delightful urbanization, between the Spanish town of Algorfa & The 5* La Finca Golf, Hotel & Spa Resort, therefor within easy reach of many amenities. 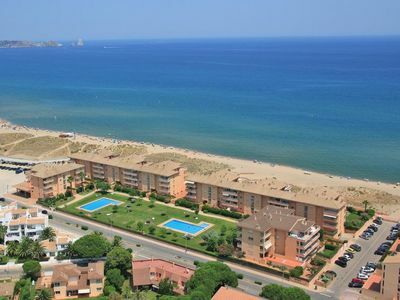 30 minutes drive from Alicante airport. This stunning spacious property comprises in the main living area of a huge open plan fully fitted kitchen, with adjoining utility room, unbelievable lounge/dining room with log burner giving access our to the Glazzed in terrace, where you can enjoy the panoramic country, citrus & mountain views; a shower room; and a cloakroom and conservatory also on the level. There is a garage on ground floor but will be locked with no access to guests. The first floor has four bedrooms, two of which having double doors out to large terrace. There is shower room on the same floor along with unsuite connected to the master bedroom. Private terrace at the rear of top floor Villa, garden views. 4 TVs with Uk channels, DVD, Stereo System, Air Conditionings throughout, ceiling fans, high speed internet, CCTV for your added security. 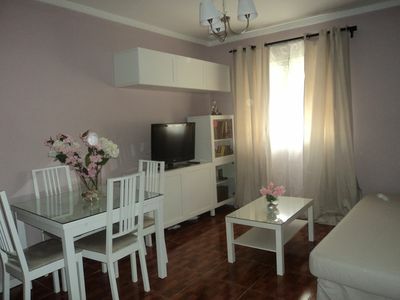 8 Seater dining table, Ample sofa seating, marble flooring. Massive private pool at front of property with also chimney BBQ, private mountain at rear of property. 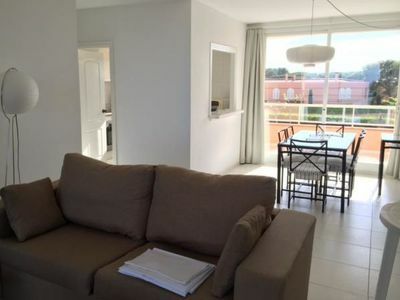 Located between the traditional Spanish villages Algorfa & Los Montesinos. 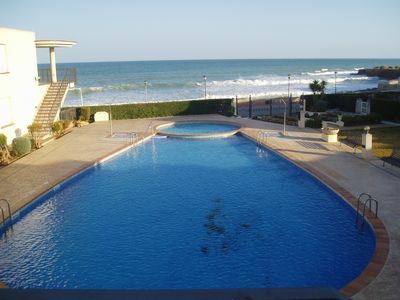 Beaches, Bars and Clubs of Torrevieja, Puno Primo, La Zenia and Cabo Roig full and busy with tourists only 20 minutes drive. It’s lovely to return to this tranquil, quite Villa which still has tourist attractions close by with the local Spanish village feel. 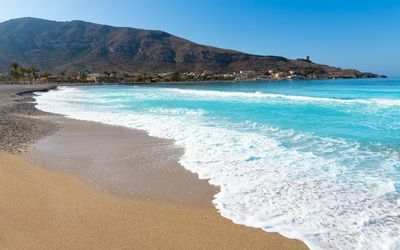 Other cities worth visiting within an hour drive of Algorfa are Elche with its thousand palm trees, Alicante with its castle and promenade, Murcia with its gardens and theatres as well as Cartagena a harbour town of Roman origins. The nearest beach to enjoy the beach experience is Guardamar with its fine sandy blue flag beach, bars. There are numerous local markets on different days of the week in many surrounding towns, villages and resorts. Some people think that Algorfa is a golfers paradise with the superb 5 star La Finca Course on its doorstep, but there are numerous other high quality golf courses on the Costa Blanca within easy reach, including Villamartin, Las Ramblas, Campoamor, and just an hour drive away is the famous La Manga Club. Green fees average £25 – £40 for 18 holes. To reserve a tee time and find out green fees at La Finca telephone (0034) 956 96 70 58. La Finca is a 18 hole course designed by Pepe Gancedo, with a par of 72. 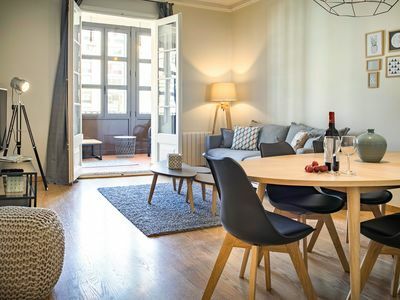 Where to stay: Nearby towns and villages include Algorfa, Benejuzar, Benijofar, La Rellana, Urbanisation Montemar, Rojales and Formentera Del Segura. Directions and how to get to La Finca golf: La Finca is approximately 10 minutes drive from the Villa. How much does it cost for a round of golf at La Finca? You need to check directly with La Finca for latest green fees as they change often but it will cost approximately 75 Euros to play golf at La Finca. New in 2002 La Finca golf is set in the Vega Baja countryside surrounded by beautiful orange and lemon groves. 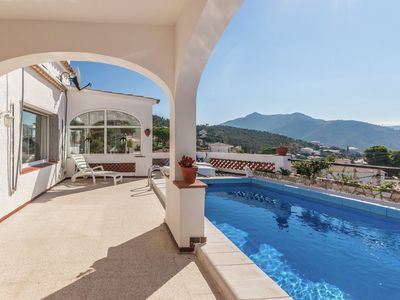 Situated at the bottom of Mount Escotera, this location offers fantastic views of the Segura region. 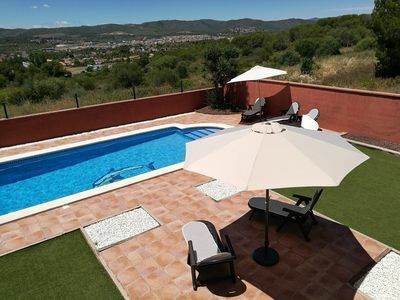 Algorfa weather being situated on the southern Costa Blanca is blessed with a Mediterranean climate meaning that there are over three hundred days of sunshine and very little winter rainfall, in fact the annual average temperature is 20 degrees centigrade. Economically Algorfa still relies heavily on citrus farming mainly oranges and lemons. 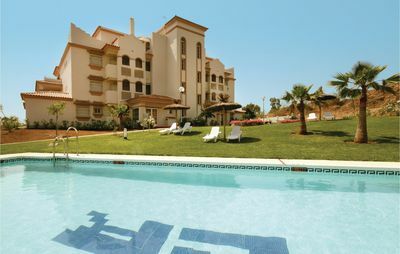 Algorfa is a relatively small community with a little over 2000 permanent residents, with all the newly built apartments Algorfa is still a quiet place to enjoy a relaxing holiday to recharge your batteries and get away from it all. In the town of Algorfa itself, there are several traditional Spanish tapas bars, several shops including a pharmacy and optician. 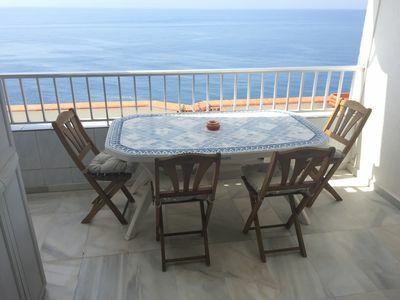 Algorfa restaurants worth visiting include Baybrooks Restaurant, Bar Tropicana, Mañnanas Cafe Bar, the Algorfa Bistro, La Vista, Bistro Alex, Bar La Cascada, San Remo Pizzeria Restaurant . 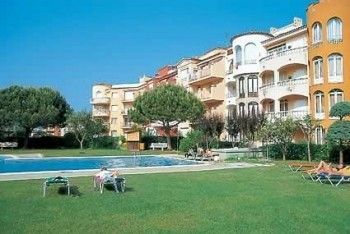 VT-35059-CS: Urbanization Luxury ground floor facing the sea, pool and parking. 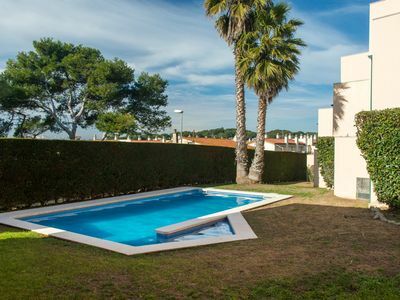 Stunning villa with private pool, 250 m from the beach.